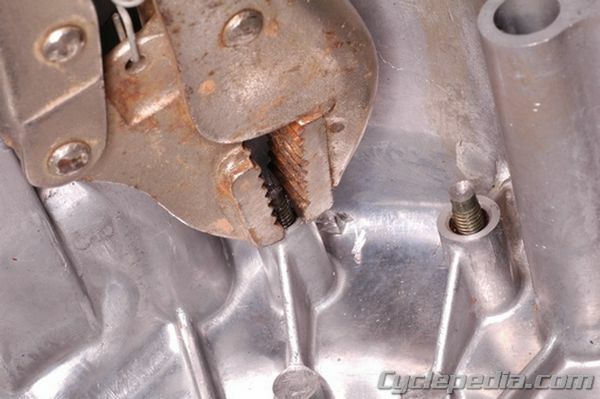 Note; Do not use a hand held impact driver on any of the screws in a carburetor or throttle body. The metal used is very porous and can break if struck by an impact driver. Phillips screw heads are commonly rounded out for two main reasons. Number one, the wrong size screwdriver is often used. The three Phillips head screwdriver sizes commonly used on motorcycles and ATVs are #1, #2 and #3. You should always use the largest size Phillips head screwdriver that will fit into the head of the screw. Problems come about when a #2 is used where a #3 size is called for. The second common reason that screw heads are rounded out is that they often require the use of a hand held impact driver to break them free. Hand held impact drivers should also be used to tighten a Phillips head screw, as they can not be accurately tightened to a specific torque value with a regular screwdriver. Here’s an example of what we are talking about. Because the head is rounded, it’s very difficult to get a pair of Vise Grips on it – if you can, that’s the easiest way to break it free. Before you start, spray penetrating fluid such as WD-40 or PB Blaster around the threads of the screw and let it sit 15 to 20 minutes. 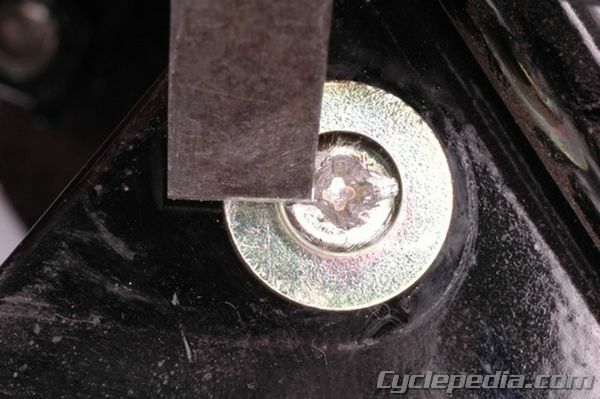 If you can’t use Vise Grips, use a cold chisel and a steel hammer to make a notch in the head of the screw by striking directly down on the screw head. Note: Take notice of what component the screw goes into—do not strike fragile components such as carburetors and throttle bodies. 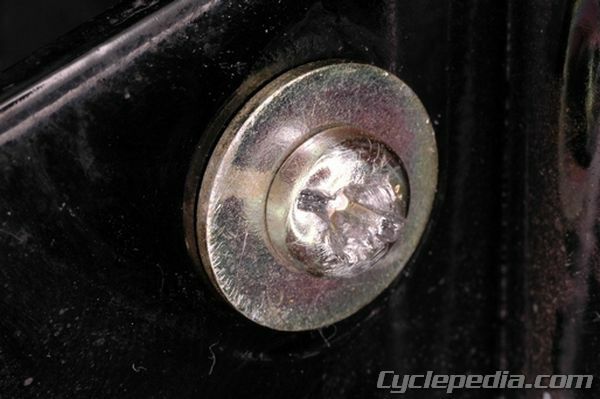 Make the notch as deep as you can, without cutting the head off the screw. Angle the cold chisel at about 30° from vertical and strike the chisel sharply with the steel hammer so that you are applying force to the screw in a counterclockwise direction (clockwise direction for left handed threads). Strike the screw sharply until it breaks free. 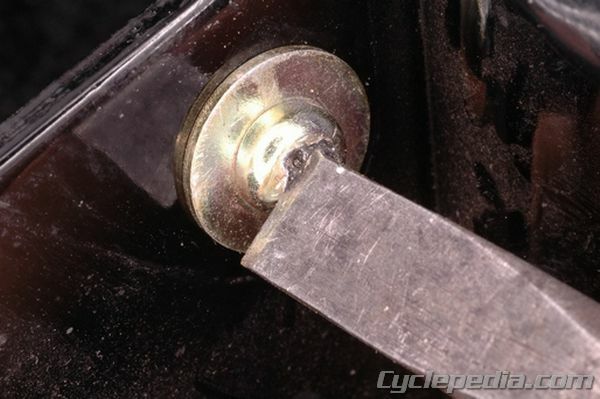 Once the screw has been broken free, continue turning it with the chisel and hammer until you can grab it with your fingers or pliers and remove it. Sometimes the chisel method will not allow you to break the screw free. 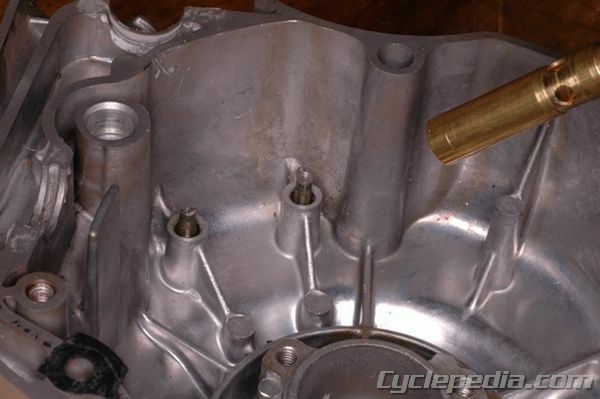 The next option is to drill the head off of the screw and then remove the remaining threads. 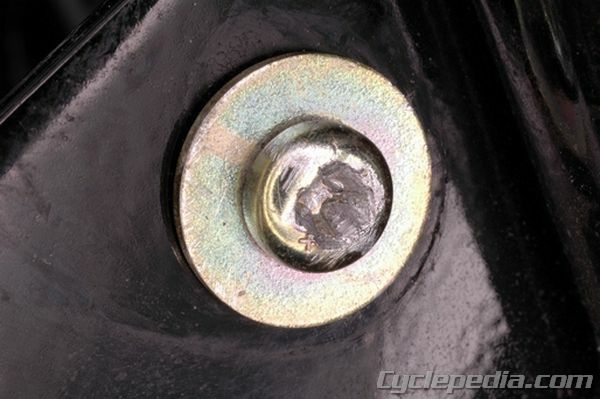 After drilling off the screw head, heat the area around the screw with a heat gun or propane torch. 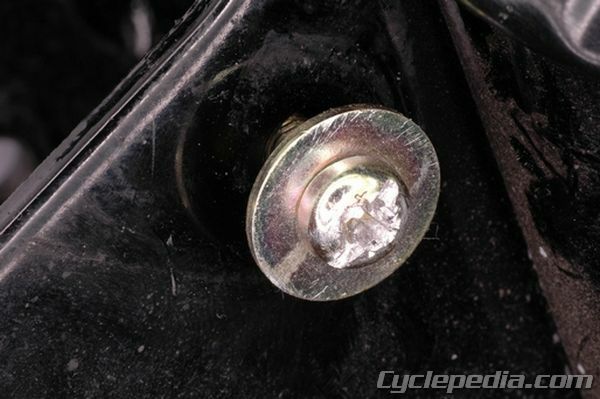 This will expand the aluminum around the screw and soften any thread lock that may have been used. Note: If using a propane torch, be careful not to ignite any penetrating fluid or other combustible materials that are nearby. 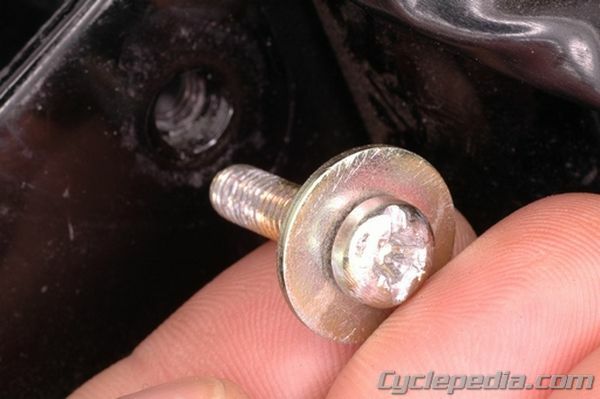 Grab the screw with a pair of Vise Grips and back out the remaining portion of the screw.